As a nurse educator, you could help teach the next generation of nurses and prepare them for real-world challenges. With the right online nurse educator program, you could enjoy a more rewarding, more fulfilling career. This online degree program prepares registered nurses (RNs) to become nurse educators in a broad variety of settings, including higher education, vocational education, healthcare staff development, and patient education. As part of your program, you’ll learn practical skills and knowledge in current nursing trends and theory, as well as effective teaching methods and techniques. 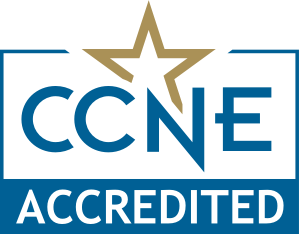 The Master of Science degree in Nursing Education at Independence University is accredited by the Commission on Collegiate Nursing Education (www.ccneaccreditation.org). If you have questions about IU's online Master of Science in Nursing Education, you can get all the answers in the program overview. Provide a solid foundation of specific competencies that will enable nursing students to acquire the skills required in the nursing profession. Provide nursing students with education and knowledge to become competent members of the nursing community of wellness, enabling them to appreciate and successfully cope with the human relations problems encountered in the healthcare workplace. Provide nursing programs that include a variety of skills that will bring nursing students to a fuller realization of the world in which they live and work, so that the nursing students will be capable of achieving a satisfactory and rewarding nursing career and lifestyle. Serve as a leader of higher education in nursing in each of our communities by incorporating suggestions and recommendations from knowledgeable representatives of the nursing programs offered. Assimilate knowledge from the liberal arts, nursing science, and the art and ethics of caring into the framework for providing holistic care to diverse patient/clients across the lifespan, including end-of-life. Demonstrate critical thinking as the basis of practice through utilization of evidence-based practices in providing safe physical, social, cultural, spiritual, and environmental diversity of patient care as well as apply strong critical thinking/problem solving competencies in crisis resolution. Apply the knowledge and skills of nursing leadership to provide compassionate, safe, and high quality care to patients/clients from diverse backgrounds across the lifespan. Provide patient/client care from a holistic framework that recognizes the context of patient/client values in promoting wellness and disease prevention as well as planning, implementing, and evaluating patient/client care outcomes. Develop effective communication and information management strategies that enhance an atmosphere of collaboration between patient/clients and members of the healthcare team. Integrate the teaching-learning process throughout all aspects of nursing practice to address the dynamic needs of both the patient/client and the practitioner to attain a sense of holistic well-being. Internalize professional values that reflect responsibility and accountability for professional behavior and a commitment to life-long learning. Explore, and define their individual role as a positive change agent in the work force and community. Adhere to ethical, legal, and regulatory mandates and professional standards for nursing practice. Apply management, delegation, and supervision strategies in planning, implementing, and evaluating nursing care. Explore political, economic, organizational, educational, and advocacy resources and strategies to improve health care delivery to individuals, groups, families, communities, national and global populations. Accept personal accountability for lifelong learning, professional growth, and commitment to the advancement of the profession.